Part 1, was our story. Part 2, you are here. Hope you’re ready for a wordy post, with some home-made graphics and an organization download. Oh and lots of tips if you’re ever in the home buying market. 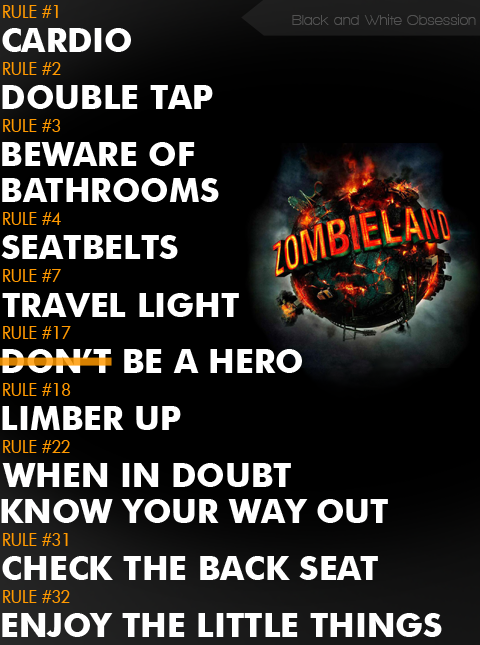 Alright, I may have just watched Zombieland for the 10th time. #1- Save and/or get finances in order. Home buying isn’t cheap there are closing costs, banking fees, earnest money, down payments, overlapping insurance/house payments just to name a few. #2- Have a thick skin- by this I mean buying a home has many MANY ups and downs and if you set your heart on a house, you could be setting yourself up for heartbreak. I set my mind that a house isn’t mine until I have signed my name on the very last page for the millionth time with the keys in my hand. #3- Which brings me to- as hard and tempting as it sounds, don’t purchase anything specific to the home before the house is yours- i.e. you know the home doesn’t have an adequate stove, don’t purchase (even if it is the best deal EVER) until you have the keys in your hand. #4- Also related, don’t cancel your lease (if you live in an apartment) until you signed the dotted line on the home. No one wants to be homeless or move more than once if not necessary. You may pay an extra months rent, but if you clean your place up and recover your initial lease deposit, or if you saved money (like #1) it’s well worth it. #5- Shop around for banks before they check your credit. See what various lenders offer. We ended up with a sweet purchase deal which included a credit to use towards the home purchase of the home. Be sure to ask plenty of questions! No one likes something that bites ya in the tush later. As lame and annoying as vocabulary can be, things can be a whole lot easier if you take a little time to become familiar with Real Estate jargon. Here are some of the most common terms (with my interpretation) I heard and became accustomed to along with some tips. Fair market value- this is the value of your home compared to others in your area. Offer to purchase- quite simple, this is how much you are willing to pay for the home. As with most negotiating, you may not want to start at the maximum you are willing to purchase. Counteroffer- this is an additional offer either the buyer or seller submits with different terms to the offer. Sellers Realtor- this is the home owner’s realtor. Buyers Realtor- this is your realtor. Earnest money/Good Faith Payment- this is money you put forward to show you are extremely interested and committed to purchase. Underwriter – is in the background set to prepare the loan documents. The housing crash brought on lots of red tape which seems to drags this process on. Escrow- this is a special account to put money aside for things such as taxes and insurance premiums. Contingencies- these are purchaser protection to ensure the house meets certain criteria. An example of this is: Contingent upon lender approval, home inspection, led paint tests, clear title, etc. PMI- an acronym which stands for private mortgage insurance. This is usually required by lenders which they use so they can recover costs if you default on the loan. Once you pay off roughly 20% of what your home is valued, this charge will drop off. 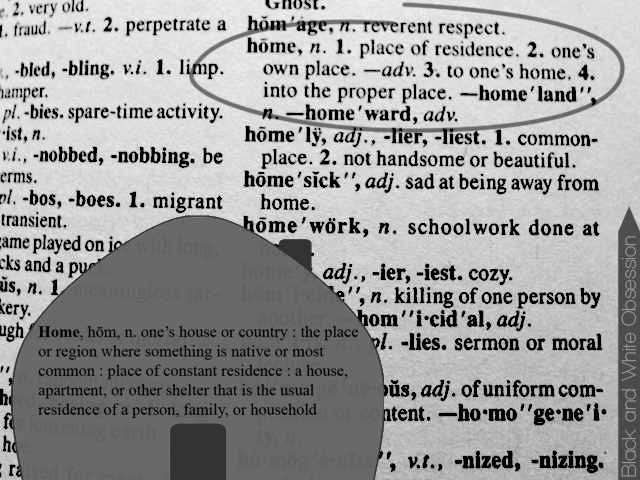 This Real Estate dictionary was pretty straight forward as well. If there are plans to dwell as a couple, unmarried, it may be recommended to get an agreement in writing, consult a lawyer, and notarize it to ensure it can be legally held up in court. This may be a painful discussion (umm hello miss-trust?) but in the end, it protects everyone’s financial responsibilities in the event it would be needed. Google offers assistance in drafting these usually called dwelling agreements, rental agreement, roommate contract, or domestic partner agreements. I found these articles useful: here (great overview on why they’re important), here (another overview), here (lists different types of living arrangements). How about a timeline of events as told in the states of a relationship? A shorter-less fun example is here from here. P.S. 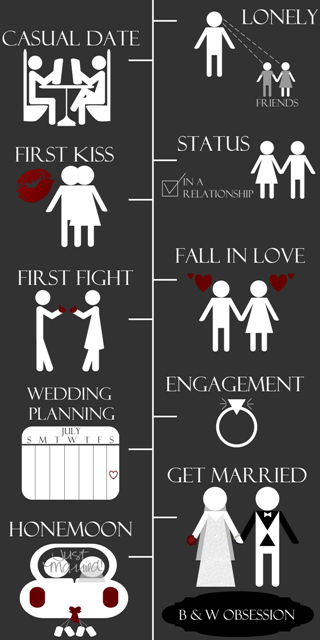 this is an awesome reenactment of phases of dating. As with most relationships, these stages could happen out of order. Like prearranged marriages, maybe you inherited a property and you cut the crap and go straight to marriage. Or maybe you fell in love at first sight and everything falls into place sporadically. Lonely- this is where you realize it is time to find something better. Maybe you are annoyed that rent just went up for the fifth time, you can’t paint the walls, you live next to the loudest people ever, maybe their cooking style and the aromas that go along with it are unpleasant, and/or the landlord hasn’t fixed that leaky pipe so you have no under cabinet storage and clean for hours on end to combat mold. This is also the time where you weigh out the benefits of home living vs. an apartment/condo/anything else (as opposed to weighing out single life vs. relationship time). Casual Date - this is after you decided to take the next step, where you begin searching for a realtor you can trust. Talk to people you know about their experience, who they used, etc. as they are your best resources. This is also the time to draft some things you may look for in a home. You also look through classifieds through newspapers, Craigslist, local realtor websites, Trulia.com, drive around neighborhoods you think you may like (bring some paper to jot down addresses), and attend random open houses. Status- As I mentioned in part one, most realtors require pre-qualifications and a pre-approval letter. 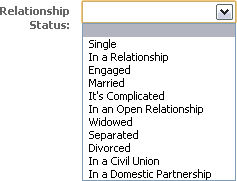 This is where your status changes to “in a relationship” er actively looking. You go on regular dates selecting and view multiple properties. You narrow down your needs vs. wants in a home. You also go on regular dates with other vendors such as banks. Choosing your bank is like choosing a close friend, this will be a long relationship so choose wisely. Shop around, don’t feel you need to be obligated and it’s not necessary for them to check your credit at this point. Inquire about various programs they offer, we found one lender which had pretty amazing home buying credits just by asking. First Kiss- you realize you may have found the home meets most of your qualifications you also narrow down the bank and complete a mortgage application. Fall in Love- you realize you may have found the home meets most of your qualifications and you… wait for it… fall in love with the home. So much that you start thinking about the price and maybe start dreaming of what lies ahead. You do some research by finding similar homes to see if they are within a few thousand dollars of each other (things like location do come into play). First Fight- this is negotiation. You write the offer to purchase which includes any contingencies to protect yourself. Both parties negotiate through their respective realtors; throw in some counter offers until both parties agree. Engaged – the offer is accepted. Wedding Planning- Here is where the party begins, it’s time to gather and deliver all documentation on your financial history. Get Married – Yay, you are finally closing on the property! A closing date is agreed upon by each party. The bank finalizes their documentation (don’t be surprised if they sneak in a few last minute requests). The seller completes their signing. And FINALLY, you sign your name the line for the millionth time and the keys are now in your hands. Honeymoon – this is where you begin holy matrimony with your home. Generally this is where you customize your home and it’s probably best to address any major issues (if found) from the home inspection. * Version is only printable, recommend Excel versions for filtering and link abilities. Another organization tip is to have a folder or binder to hold all your important documents and agreements. You will reference them a lot. We housed all of our documents from financial documents to inspection paperwork to the listing paperwork so you can stare at the pictures. We also took a class in home buying, which was required by our lender but I highly recommend even if you haven’t purchased a home in a while since rules continually change. This class had a great book as well. Once I dig it up I will add it to this post. Know your limitations. If you do not have the time to commit to such purchase, wait until you do. If the home is well out of your price range, don’t buy it. Lastly and probably most importantly, just because the bank sets a maximum on how much money they are lending, does not necessarily mean it’s affordable or even within the budget.